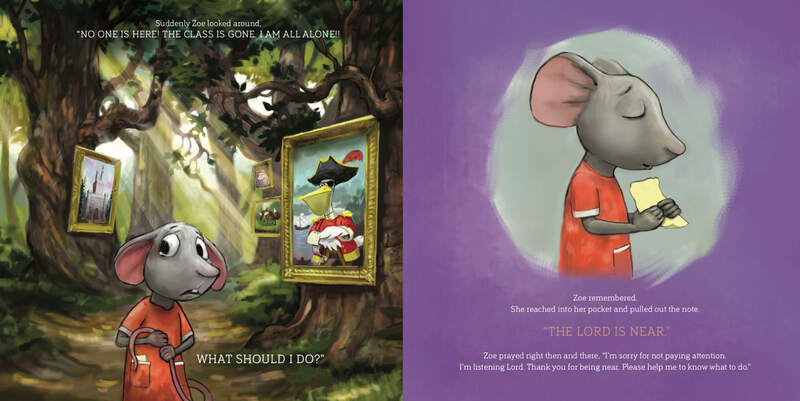 This beautifully illustrated book invites children to remember that the Lord is near when they are anxious. Zoe, a fearful mouse, is worried about a class trip. As she talks with her parents, Zoe realizes that she can turn to God for help. Papa Mouse gives her a verse from the "Great Book" that she can read when she is afraid. She learns that she can tell God all about her fears, and he will comfort her. Also included is a tear-out page of "Back Pocket Bible Verses" that will give children a practical way to remember God's words when they are afraid.